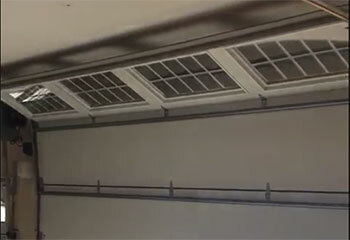 Our valued customers come to us with a vast variety of garage door issues. Here below you can take a closer look on some of our most recent projects in the area. 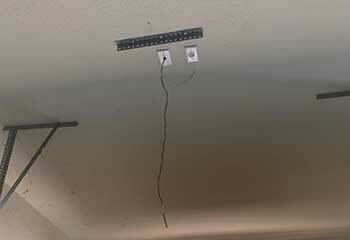 Customer Issue: Mr. Doron wanted to get a better garage door opener with more smart functionality anyway. Our Solution: The customer specifically requested a LiftMaster 8500W wall-mounted opener with a matching smart remote. 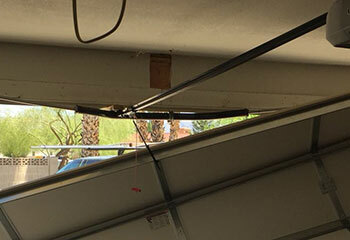 Our team first took down his old housing and trolley track, and then attached the new wall-mounted unit beside his torsion spring, connected it, and programmed the unit and its remote. Our Solution: We checked the safety sensors and found that they had gotten out of alignment, so we proceeded to reposition them and then tested the door to make sure that it could close, and that it reversed when something got in its way. Customer Issue: Worn torsion spring. 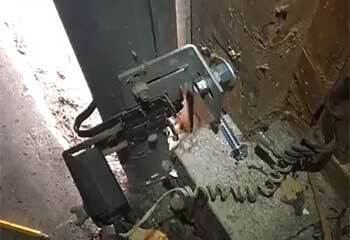 Our Solution: We carefully released the tension of the old spring and removed it from its shaft. We then installed a new unit in its place, lubricated it, and tested the door a couple of times to make sure the tension was well adjusted. Customer Issue: Bent track made the door rollers slide out. Our Solution: We repaired the misshapen section of the track which caused the malfunction and then reinserted the rollers, but not before inspecting their condition and lubricating them thoroughly. We then made sure the door could move safely again. Our professionals can tackle every issue. Your satisfaction with our services is guaranteed! We’re quick to respond, especially when it’s urgent! We built our reputation solely though reliable and professional servicing. No matter what type of service you need, our garage door experts can provide it. We've been fixing and installing these systems for so long that there's no problem we can't expertly handle. Check out the rest of our website for more information about our services, and feel free to use our online system to schedule an appointment. Our technician will contact you before arriving. Until then, feel free to browse our website! Garage Door Repair Boulder is at your service!